We've all been there: You've ordered something online, and your shipment arrives at your doorstep in comically excessive packaging. 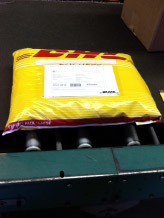 Unfortunately, when international shipments are packed this way, you can get stuck with high shipping fees. You shouldn't pay more than you have to, so when your packages roll through our warehouse, our team will repack them when appropriate. 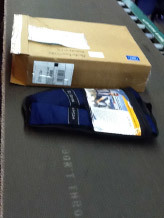 When your online order reaches our warehouse, we'll take a look at the packaging in relation to the item inside. If the packaging can safely be downsized, we'll place the item in a padded envelope. 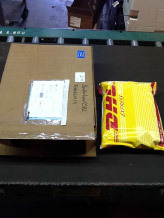 Doing so reduces the package's volumetric weight, which can lower the shipping cost. To learn more about shipping weight, read our FAQ on 'What is Volumetric Weight?'. 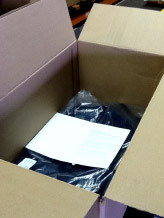 If you don't want your shipments repacked, just let us know. You can select the option on your Borderlinx dashboard under Account Settings. To ensure safe delivery to your home, we don't repack every shipment that comes our way. This includes fragile and gift-wrapped items. For additional exceptions, please read our Package Repacking feature FAQ. If you have a question about how our Package Repacking feature, contact our Customer Support team.